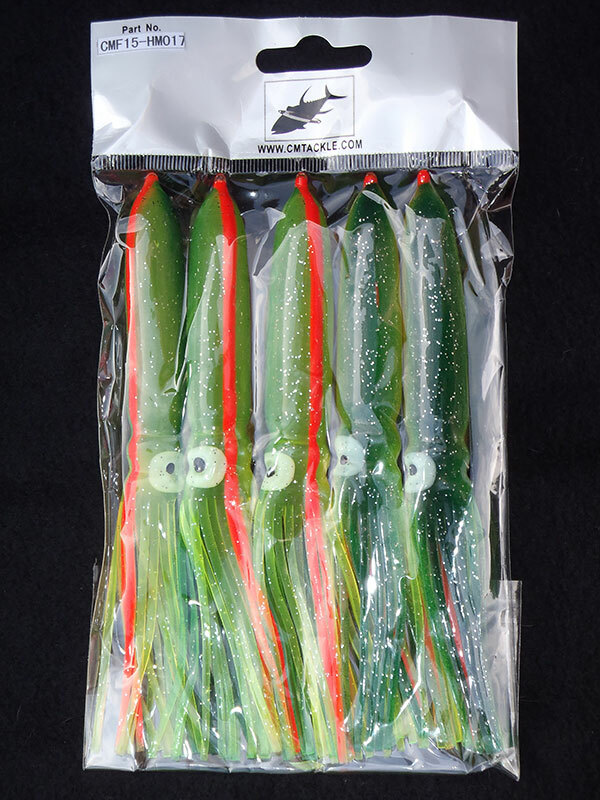 6" Bulb Hollow Trolling Squid #17 Zuchini Green/Orange/Yellow - Tackle Now / YP Piao Wholesale Ltd.
Top quality 6" Hollow trolling squid in a traditional head design. Excellent for everything from trolling bars, chains to bottom fishing rigs. Sold in packages of five (5) pcs. Click the button below to add the 6" Bulb Hollow Trolling Squid #17 Zuchini Green/Orange/Yellow to your wish list.